This is a basic emergency preparedness presentation by Botetourt County Emergency Services. It will cover getting ready for power outages, storms, and other events, and having a strong community. This will be held at Pleasant Hill Baptist Church, 10am-11:30am, 4930 Country Club Road, Troutville, VA 24175. All are welcome! Bring a neighbor. AND there will be pizza provided by the church! This is a basic emergency preparedness presentation by Prudent Supply. It will cover many introductory aspects of preparedness including food, water, health and hygiene, communications, and community. Get ready before the next serious situation happens. Lots of show and tell. This will be held at the Vinton Public Library, 6:30pm, 300 S. Pollard St., Vinton, VA 24179. All are welcome! Bring a neighbor. This is an emergency preparedness presentation by Prudent Supply. It will cover food storage methods including canning, dehydrating, dry storage in mylar bags, and freezing. There will also be discussion of purchased long term storage food options. Lots of show and tell. This will be held at the Vinton Public Library, 6:30pm, 300 S. Pollard St., Vinton, VA 24179. All are welcome! Bring a neighbor. This is an emergency preparedness presentation by Prudent Supply. It will cover CB, GMRS, FRS, and ham radio, and what’s appropriate where and when, the costs and value of each. This is also a brief introduction to ham radio licensing. Lots of show and tell. This will be held at the Vinton Public Library, 10:00am, 300 S. Pollard St., Vinton, VA 24179. All are welcome! Bring a neighbor. This is an emergency preparedness presentation by Prudent Supply. It will cover purchasing young laying hens, feeding, housing, protecting and tending them. Many people are keeping backyard chickens for the eggs, just in case, and eggs laid by your own chickens are MUCH better than grocery store eggs. Tending chickens is also a great training activity for kids. This will be held at the Vinton Public Library, 6:30pm, 300 S. Pollard St., Vinton, VA 24179. All are welcome! Bring a neighbor. 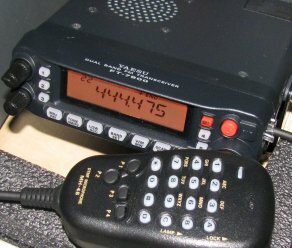 The purpose of this class is to help people get their first ham radio license, called the Technician class license. When: December 2 and 9, 2017 (9am-1pm), with a test session on December 16. Please attend all three dates. This class covers the Technician class license. Here’s how this will work. Get the printed book. There may even be some in the library system. The book is well written and for beginners like you! Study the book between now and the first class session. Take a few free sample tests online. It does not matter how badly you do on the sample tests! Just take some sample tests to get the feel for them. Bring your questions to the class sessions. After the class sessions, take a sample test every day or two. When you are getting above 90 percent on the sample tests, you are ready to take the real test! Most people go from zero to license in about a month. The class sessions will cover the more in-depth concepts such as frequency/wavelength, antennas, radio operation, ohm’s law, and anything else there are questions about. We will NOT be going over the book page by page — that’s your job! We will be “teaching to the test” and will not delve deeply into theory, etc. The objective is for you to get your license and start using ham radio. A “teach to the test” study guide. Download to your device or print for studying. This contains the Technician and General class questions. Flash cards with explanations of the material; practice exams. Practice exams only. This is a very good sample testing site. A good basic study guide for the Technician test, and a good review for General candidates. Flash cards and practice exams. PLEASE start studying now, just a few minutes each day. By the time the class rolls around you’ll be out of the gate and just needing a few questions answered. If you have questions or confusion about the material, you are welcome to contact us. If you are itching to buy a radio, here’s a popular one. And an antenna that will double or triple your radio’s range. Tell your friends who may be interested! January 2015 Ham Radio Licensing We taught two Saturday half-day sessions to supplement the students’ home study efforts. There were 11 people who tested for their Technician and General class ham ticket, and all passed! More details here. To schedule this class for your group, please contact us. August 2015 Basic Food/Water Preparedness We learned about storing food and water, long term, and about collecting and cleaning water. To schedule this class for your group, please contact us. July/August 2015 Radio Communications We taught courses in radio communications for Oath Keepers, Roanoke and Franklin County, in July and August, 2015. If YOU are interested in emergency communications, please contact us and we’ll send you some materials. July 2015 Basic Emergency Preparedness We did a basic emergency preparedness presentation at the regular monthly meeting of the Roanoke Tea Party. June 2015 Home Protection and Range Training We had a class taught by End State Tactical LLC, a group of ex-military and special forces trained soldiers. This class covered home defense concepts and practices, and live fire range training. We had an age range from 23 to 82, men and women, and the students had a good experience and learned a bunch, The instructors were very informative and safety oriented, answered many questions, were humorus where appropriate, and made the class relevant to we civilians. We also had a catered barbecue supper after the course, which allowed us time to socialize and ask even more questions of the instructors.End State is being renamed to Counter Response Tactical, LLC, and you can search for that name on Facebook to find their page. They are offering many more classes in the coming months, so please check their page for details! May 2015 Food Dehydration We had a local food dehydration expert come out to teach us how to dehydrate food. She had many samples of fruits and vegetables for us to taste, as well as a rice/lentil stew that was reconstituted from dried ingredients. It was very tasty! She uses a commercial dehydrator with variable temperature and timing settings. Also demonstrated was a vacuum sealer for preserving the dried food. This class was interesting, entertaining and fun, and got us all started in food dehydration to enhance our preparedness. October 2014 Radio Communications On Saturday October 4, we taught a class on radio communications for preparedness at The Emporium in New Castle. We had a room full of folks learning the difference between CB, GMRS, FRS, and ham radio, and what’s appropriate where and when. For information about earning your ham radio license, please contact us! September 2014 Computer/Internet Safety On Saturday September 20, we had a computer expert and engineer teach us about security and privacy when using the Internet and other computing tools. We learned about safe surfing, anonymous surfing using TOR, password managers, the TAILS Linux OS, add-ons for Firefox and other browsers, and lots of other tools and techniques. Our instructor told us many stories of good and bad security practices, and outlined what government and industry does to collect and store our data. It was very informative! July 2014 Outdoor Skills We had an outdoor, tracking and survival expert, Will Dotson, come over to teach us outdoor skills at a local farm near Fincastle. We learned about fire making, concealment and finding concealed people, tracking, wild edible plants, shelter, finding water, navigation, and a bunch of other things. It was a day packed full of fun, and we had a good group of folks who learned a lot. Fortunately, the weather was very good. If you want to take a class like this, contact our instructors using the information on this flyer. May 2014 Essential Oils for Preparedness Our class on essential oils was really good! We all learned a lot about what the various oils do, and we got to sample them right there. If you missed the class and want to find out more about essential oils, check out http://everythingessential.me. April 2014 Raising Rabbits and Chickens This was a very informative class. Get the details here! March 2014 Solar Power We also had a class on do it yourself solar, put on by the local REEVA club. Mark Hanson taught this class and he has deep knowledge of all energies renewable. Contact him through www.reevadiy.org. These folks love to help others get started in renewable energy. March 2014 Solar Power Bryan Walsh from Solar Connexion in Blacksburg discussed solar power systems for the home and answered our questions. Bryan has 25 years experience. Contact him at www.solarconnexion.com. March 2014 Manure Party! We totally cleaned out a horse farm’s manure pile for our gardens. We hauled TONS of manure. Nothing better than manure compost! January 2014 Back Friendly Gardening We had a great class. Get the details here! November 2013 Financial Preparedness Our own Roger Williams came out to teach us about financial preparedness. Debt is a heavy thing, and not a friend to those who are prepared. Roger taught us techniques for getting out of debt and staying out of debt. Our financial health is important! July 2013 Radio Communications We taught a class on radio communications for preparedness at Prudent Supply. We learned the difference between CB, GMRS, FRS, and ham radio, and what’s appropriate where and when. For information about earning your ham radio license, please contact us! June 2013 Canning We set up a tent outside and did some canning of tomatoes, from peeling to packing to water bath to cooling. We also pressure canned some food. Canning is not difficult, but does require some knowledge. Look for books on canning at your local book store. May 2013 Emergency Food Storage Phil Spence, from the Emporium in New Castle, came over to teach us about storing food in mylar bags and buckets, using oxygen absorbers to preserve freshness and discourage bacteria and other critters. Phil also demonstrated grinding popcorn into corn meal. We had several people packing food they brought. Properly packed food can last many years. April 2013 Gardening We had two local experts come out and teach us about gardening, what works, and what doesn’t. We learned about mulching, composting, and ways to deal with pests and weeds that do not involve chemicals and poisons. March 2013 Basic Emergency Preparedness Our first class had about 50 attendees and we covered everything from food to water to first aid. We also offer a consulting service to help you prepare for emergencies. Our Custom Preparedness Planning Guide discusses many facets of preparedness, including thinking preparedness (as our grandparents did), the supplies you need, and the attitude you need. The Guide is capped with a large checklist of preparedness items. We do this for you for basically the cost of printing the materials. Check out our Custom Preparedness Planning service.